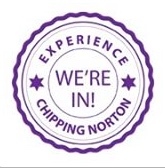 This Saturday is the Chippy Christmas shopping day, organised by Experience Chipping Norton. From 10am, there will be a whole raft of activities – and you may bump into Santa (it won’t be hard to spot him wandering around town – he’s eight feet tall!). 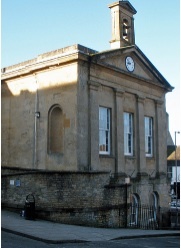 There will be a pop-up tearoom at the Upper Town Hall, featuring local vintage tea experts The Chipping Norton Tea-Set, selling warm mince-pies. There will also be plenty of other stalls selling French macaroons. Japanese food, Belgian chocolates and other delicacies. In addition, there will be lots of other stalls selling unique ideas for Christmas presents – and children can also get their faces painted. Popular Cotswold singers Claire Bradshaw and Craig Ogden will be singing 2-3pm on Middle Row and 5-6pm under the tree at Jaffe & Neale, and there will be carol singing under the same tree at 11.30am. 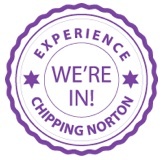 That’s just a small selection of what Experience Chipping Norton says will be taking place. Support your local shops and businesses, and get in the Christmas mood this weekend! This entry was posted in Uncategorized and tagged Christmas, ECN, Experience Chipping Norotn, face painting, gifts, mince pies, presents, Santa, shopping, vintage. Bookmark the permalink. On top of this, it’s also Shop Local Saturday this weekend, a nationwide campaign to encourage shoppers to use independent retailers in their local High Streets.